Sterling silver peace sign pendant. The approx. 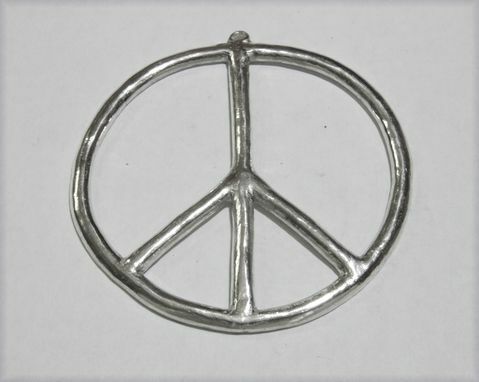 dimensions for the pendant are three inches in dia. The edges on the front side are slightly rounded. A 6mm jump ring is included to facilitate connection to a necklace.